V: First Knights Billy Idol (World Champion). 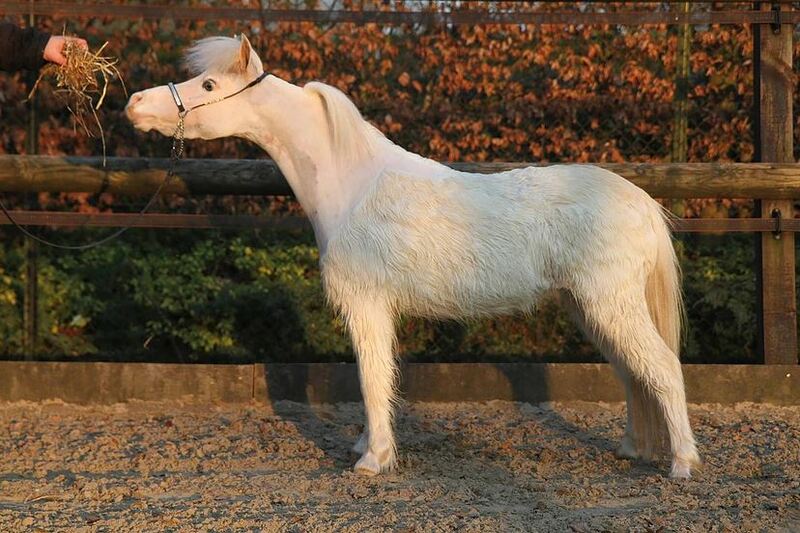 MMHB Idols Elegance Lady Hawke is a beautiful horse with a completely new pedigree for us. And what pedigree! Lady is the daughter of the well-known First Knights Billy Idol, World Champion, 2nd on the list Lifetime leading futurity sires, and also the father of several world champions. As if that is not enough, her mother is a daughter of Champion Farms Nighthawk, even though such a famous and beautiful stallion, 2x Champion Get of Sire. This makes MMHB Idols Elegance Lady Hawke a top horse in pedigree. In the field of appearance Lady is also absolutely a topper! MMHB Idols Elegance Lady Hawke herself shines! She knows how to win you with her big eyes. Her neck is beautiful on her body and she is perfectly proportioned with long legs. Moving is therefore also her second nature!